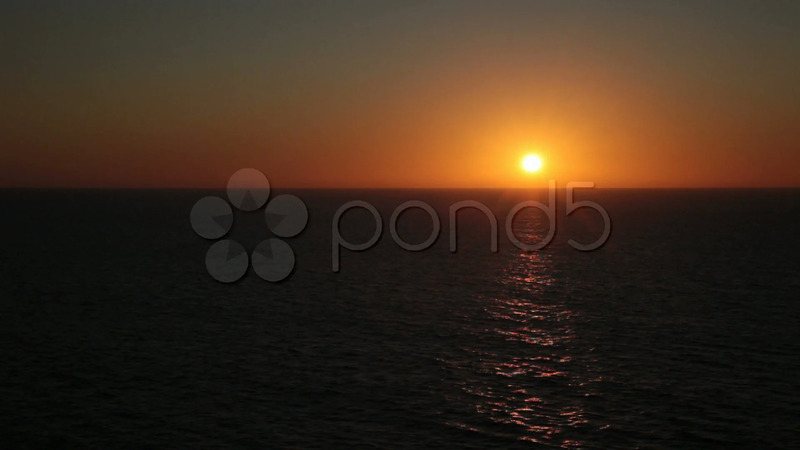 Description: Brilliant sunset over Pacific Ocean captured from a moving ship. Ocean waves moving under reflection and glow of orange and gold sun. Don Despain of Rekindle Photo.